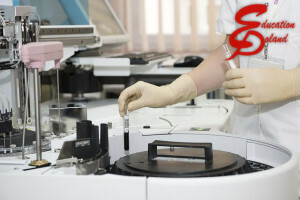 The best choice for medical studies today. Become an International Medical Doctor: Gain International exposure; make friends with thousands of other foreign students studying medicine. Practice anywhere in the world. Our International students come from US, Canada, Australia, UK, Scandinavian & EU countries, Vietnam, Taiwan, India, Saudi Arabia (Government sponsored students already studying), Qatar, UAE, Oman, Kuwait, Norway, Sweden, Switzerland, etc. MBBS: 5years of study with clinical/electives every year + 1 year of Internship. Recognition: Listed on the WHO, IMED directory; the University’s degree is recognized throughout European Union, UK (GMC), US, Canada, India (Listed in MCI), Saudi Arabia (Listed in the Medical Council as well as students are sponsored by the Saudi Govt. ), Taiwan, Thailand etc. ; respected and recognized throughout the world. High quality of Medical Education: Did you know that the first full face transplant in the USA was done by a team of surgeons lead by a Polish doctor, Maria Siemionow who graduated from Medical University in Poland. Oct 23, 2014: Surgeons in Poland performed a groundbreaking cell transplant that allowed a paralyzed man to walk again. Career: Practice all over the world. You can work as a doctor, all over Europe including UK, US, etc. 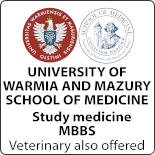 Doctors in Poland can also run their own private practice/clinics. 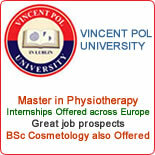 Financial: Affordable Cost, Low Tuition fee and living cost (200-250Euro including accommodation). There are student dormitories close to the University and cost 475PLN. Study program: is entirely instructed in English and designed to meet the European Union, United States (USMLE) & Medical Council of Canada Evaluating Examination (MCCEE) standards with their internationally accredited exams. European Credit Transfer System (ECTS) is applicable too. 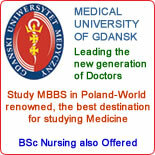 Doctors are eligible to practice in Europe, UK, US, Canada, India, Middle East, etc. Poland: The only Schengen country in EU, which saw an increase in the GDP during recession; stable economy; strong infrastructure and high-tech laboratories. 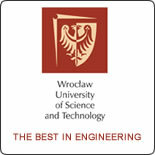 Tuition Fee: 44,000PLN (Polish Zloty) per year.